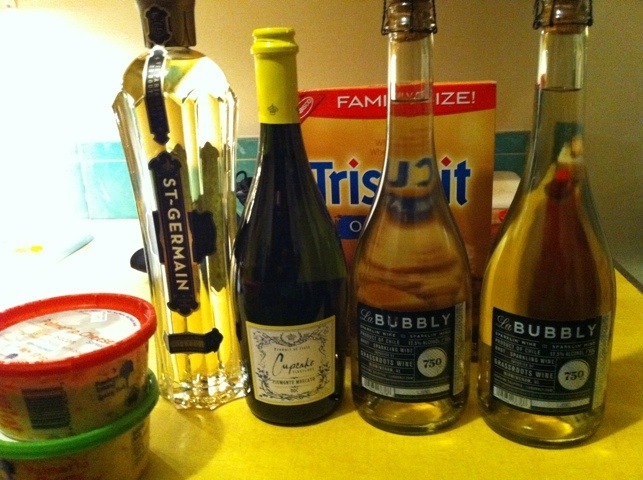 Champagne and palmetto cheese, plus a splurge on St. Germaine: some of our favorite life necessities. Have a wonderful Friday night! Yesterday evening, Jamey and I grabbed the golf clubs and headed for the driving range. It’s something I’ve been aching to do for several months now, and for some reason it always gets put on hold due to inclement weather, being too tired, going out to eat instead, and other excuses/diversions. This time, it was a nice little after work excuse to stretch the muscles and blow off steam. We came home to the sous vide that as of last night had only been stewing for 48 hours. (More on that after tonight’s dinner!) The rest of our fridge was full of frozen chicken, other frozen things, broccoli, homemade salsa, and miscellaneous condiments. Two things I noticed were Palmetto cheese and tomatoes. 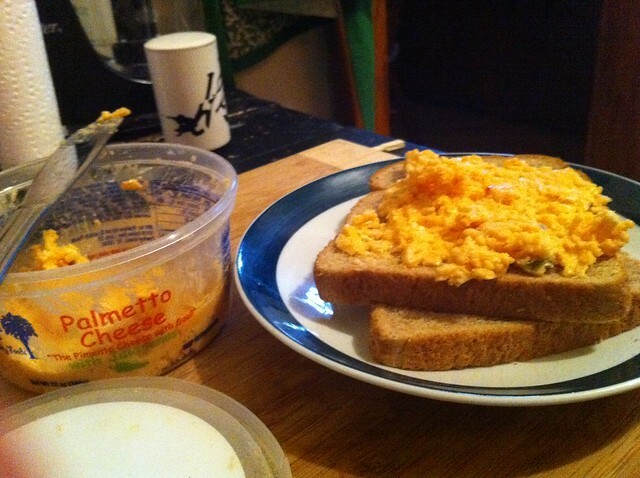 The Palmetto Cheese in all its spreadable glory.